Who Is Brandon Allen (NFL Quarterback)? Brandon Allen is an American professional football quarterback currently playing for the Los Angeles Rams of the National Football League. He was drafted by the Jacksonville Jaguars as the 201st overall selection during the NFL draft of 2016. 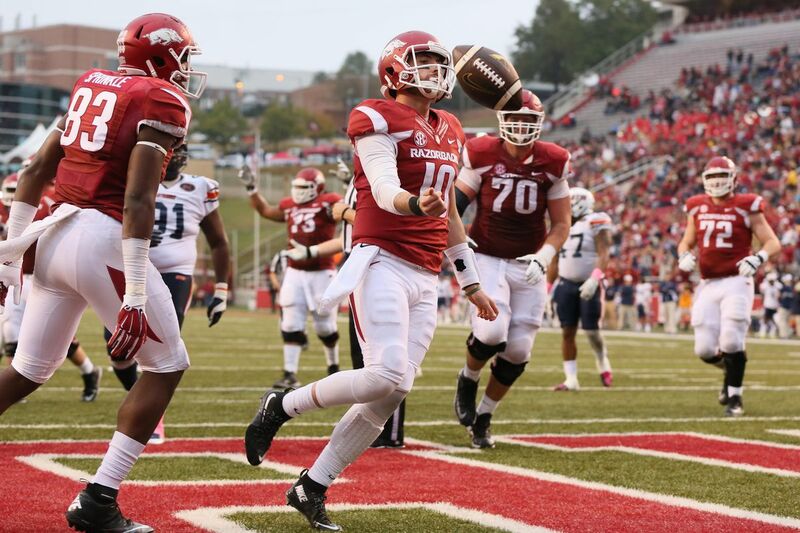 Allen completed his college football career with the Arkansas Razorbacks. Allen was born in Fayetteville, Arkansas on September 5, 1992, to American parents. He developed an interest in football when he was in high school. Allen went to Fayetteville High School where he played the quarterback position for the school team. While he was there, he hauled 38 touchdowns and 3,408 throwing yards during his senior year. At the end of his high school career, he was rated as the fifth best pro-style quarterback by Rivals.com. During his college days at the University of Arkansas, Allen played for the Arkansas Razorbacks football team from 2011 to 2015. After he was redshirted as a freshman, the following year saw him become a backup for Tyler Wilson who was the starting quarterback at the time. In the 2012 season, Allen featured in five games and recorded three interceptions, one touchdown, while completing 21 passes for 186 yards. In the 2013 season, he was named the starting quarterback for his team and he had a brilliant season recording 13 touchdowns, 10 receptions, and 1,552 rushing yards. The following year, he won the MVP of the 2014 Texas Bowl while he finished the season with a record of 20 touchdowns, five interceptions, and 2,285 yards. That’s not all, he led the Razorback to the 2015 Liberty Bowl where they triumphed over Kansas State, recording a 45 – 23 win. In all, this bloke finished his college career with 26 interceptions, 64 touchdowns, and 7,463 passing yards. Allen Bradon also graduated with a bachelor’s degree in Recreation and Sports Management. After his college career, Brandon Allen was listed as one of the 2016 NFL draft prospects. He participated in the NFL combine drills where he ran the 40-yard dash for 4.48 seconds, 10-yard split at 1.71 seconds, and 20-yard split for 2.82 seconds. He also finished the 3-cone drill at 7.06 seconds. During the NFL draft of 2016, Allen was selected by the Jacksonville Jaguars in the sixth round of the draft. He was the 201st player to be drafted that year. Joining the Jaguars, this bloke penned a four-year contract worth $2.48 million; the deal came with a signing bonus of $147,687. 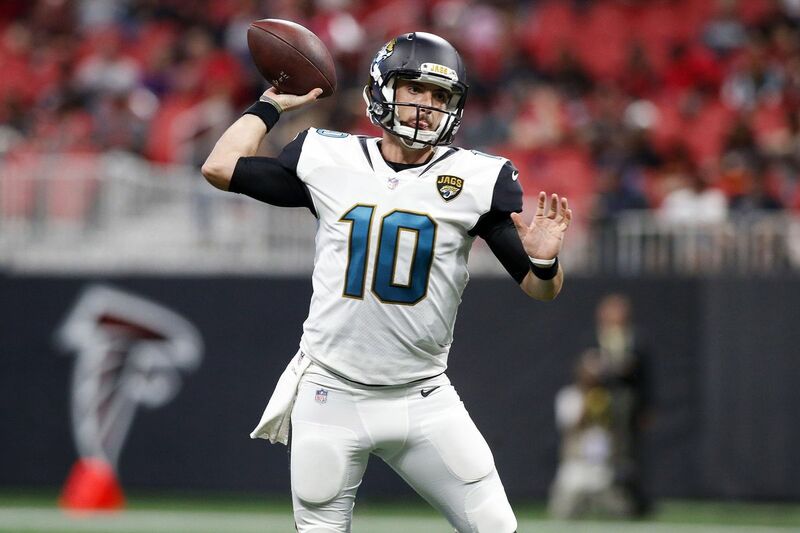 In his NFL rookie campaign, Allen was named the third-string quarterback; this placed him behind Blake Bortles and Chad Henne. But then, his performance wasn’t as impressive as the Jaguars imagined it’d be. As such, Allen was waived by the team in September 2017. Later in the same month, he was signed by the Los Angeles Rams. Playing his first professional season for the Rams, Allen was inactive in every game. He played the third-string quarterback position behind Sean Mannion and Jared Goff. In December 2017, he was placed on injured reserve following an injury he encountered during their week 15 win over Seattle. While he is yet to see much action in his professional career, we hope Allen would get more playing time with the Rams and ultimately assert himself as a force to reckon with in the NFL world. Brandon Allen was born to Bobby Allen and his wife Marcela Allen; he was raised along with his younger brother named Austin Allen. As far as we can tell, he inherited his athleticism from his family – his father Bobby is currently the Arkansas Razorbacks high school director of NFL relations. Also, his younger brother Austin is as well a football player, he completed his college career as the starting quarterback for the Razorbacks in 2017. He would later sign up with the Tampa Bay Buccaneers as an undrafted free agent after the 2018 NFL draft.